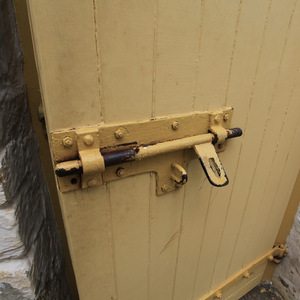 Erected at the rear of the police station, the lockup was used as a temporary gaol for the fast growing community until the completion of Redruth Gaol in 1856. At this time, the population of Burra exceeded that of both Perth and Brisbane, and over 1,800 hardened miners and their families lived in poor conditions along the dugouts of Burra Creek. Listen to Johnny Green describe the ribald life of the miners at the peak of the Monster Mine, and the challenges faced by the local constabulary. If you don't have a pass-code or key to access Malowen Lowarth cottage, please visit the Burra and Goyder Visitor Information Centre on Market Square to purchase the Burra Heritage Passport.